The first name that possibly strikes our mind when we talk about torrent sites is Kickass Torrents. Well, Kickass Torrents is a reliable torrent site and its admired by the entire torrent community. In fact, Kickass torrents outperformed The Pirate Bay in multiple aspects. Well, in 2016 KAT has faced the wrath of the US law enforcement resulting in its shut down. So if you are searching for the best new Kickass Torrents alternative sites, then this article will definitely help you. Please Note: In some territories, such as UK and Australia, its necessary to use a VPN for torrenting. You can check out our list of the Best VPNs for torrenting in 2018. Simply choose a VPN service that suits you. Then you can use torrent websites without any interruptions. This list of Kickass Torrents alternatives has been prepared for sharing information and educational purpose. Hence, TechWorm doesn’t condone downloading copyright-protected content. Original Kickass Torrents (KAT) has been down for since 2016, due to legal issues. However, it was recruited by its original staffs at a new domain katcr.co. Is the new katcr domain down for you? Well, if you are reading this article Kickass torrents might be down in your region. Check out our list of some of the best recommended Kickass torrents alternatives sites below. The first Kickass Torrents alternative on the list is 1337x. Similar to KAT, 1337x is a website that provides a directory of torrent files and magnet links used for peer-to-peer file sharing through the BitTorrent protocol. Users on 1337x share the best torrent files for free download. 1337x has a clean UI, which makes searching content a breeze. Furthermore, to enhance discoverability the content is divided into different categories. Another perfect alternative to KAT is The Pirate Bay, which is one of the oldest and most reliable torrent websites. 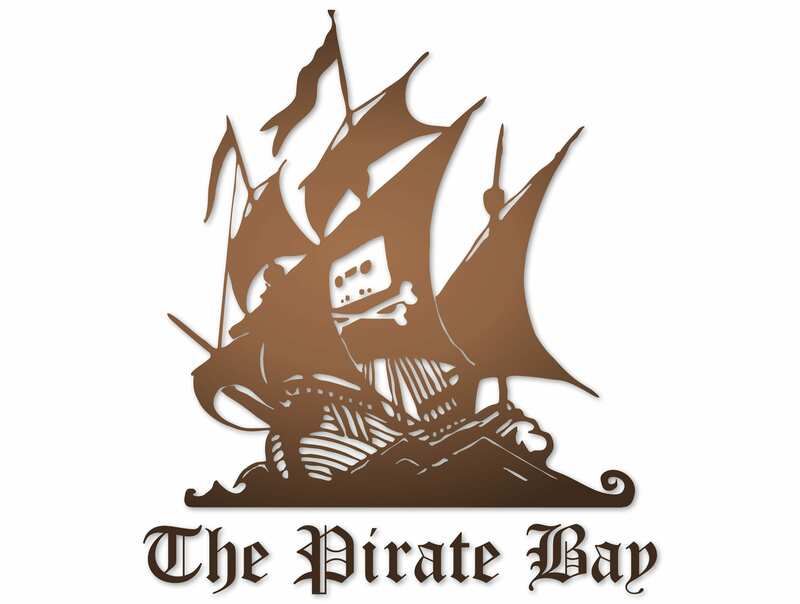 The Pirate Bay allows visitors to search, download, and even contribute magnet links and torrent files. This website facilitates peer-to-peer file sharing among users of the BitTorrent protocol. Pirate Bay has a minimal UI, and there is no exploration option. Consequently, you should be precise as to what you want to download. If you are a Pirate Bay fan but it is not available in your country or your ISP has blocked it, then you should check out the Best Pirate Bay alternatives. Next Kickass torrents alternative on the list is Torlock. The most impressive feature of Torlock is that it only lists verified torrents. Content on Torlock is very well organized into different sections like Movie Torrents, TV Torrents, Music Torrents, Game Torrents, Software Torrents, and eBooks Torrents. Torlock has a simple UI and the website offers a massive collection of Anime series. Lastly, Torlock also displays trending torrents on its homepage. LimeTorrents is a relatively new, but an impressive website for downloading and sharing content. Content on LimeTorrents is very well organized in different sections like movies, games, music, anime, TV shows, and software just like the kickass torrents. This website offer verified one-click torrents downloads. In the list of Kickass torrents alternatives, I would definitely rank this one on a pedestal for a lot of stuff. The next KAT alternative on the list is SeedPeer. SeedPeer offers a visually clean user interface and has an extensive collection of high-quality torrents. Well, if you have been using torrents for a decade now then you might remember that Meganova was renamed as SeedPeer. Furthermore, all of the content on SeedPeer is organized in different categories like movies, TV shows, games, apps, music, books, and much more. Next website on the list is RARBG. Similar to KickAss Torrents, RARBG, provides torrent files and magnet links to enable peer-to-peer file sharing using the BitTorrent protocol. RARBG has a very simple and intuitive UI. Furthermore, RARBG is very well known for providing verified torrents. Users can contribute content to RARBG by signing up for the service. Lastly, you can even find exclusive movies on RARBG in 4K HDR quality. Zooqle is an impressive Kickass Torrents alternative for those who heavily rely on torrents for movies and TV shows. You can find almost every new TV show and exclusive movies on Zooqle. The UI of Zooqle appears to be very professional and well developed. Furthermore, you can even choose from 3D, ultra, 1080p, 720p, std, med, and low quality. Zooqle also displays the most seeded torrents on its homepage. 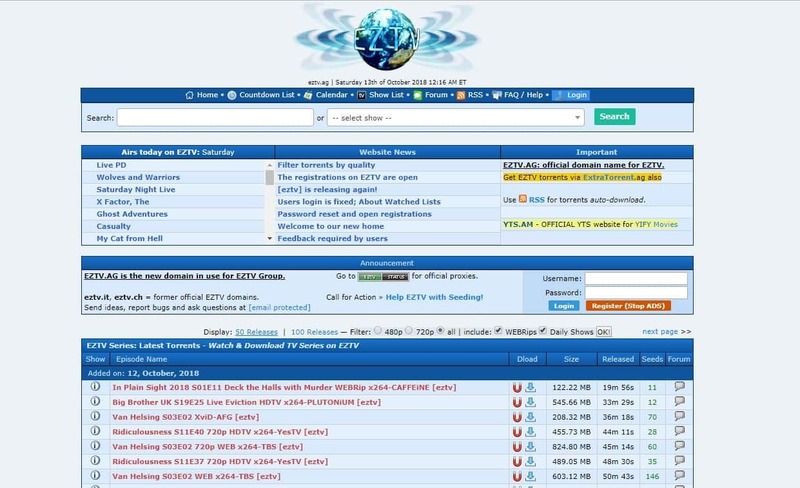 The next near perfect kickass torrents alternative would be EZTV. Similar to all other websites, you can easily find and download content. EZTV has an outdated UI, but it gets the job done. Well, EZTV is perfect for downloading movies and TV shows. Furthermore, the website also displays the latest website news on its homepage. Another great alternative of KAT for downloading free movies is YTS. This torrent website is primarily focused on films. Consequently, you can’t find other content like software on YTS. YTS has a very well-developed and pleasing UI. The website helps users to choose between either 720p or 1080p video quality. Moreover, YTS offers direct one-click download options for all of the movies on the platform. 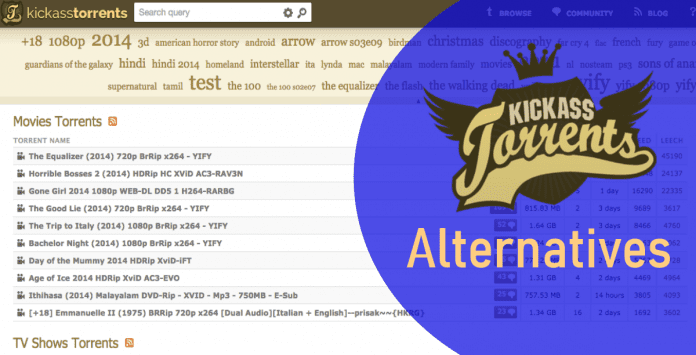 The last Kickass torrents alternative on the list is Torrent9. Similar to other websites, Torrent9 also offers verified torrents. The UI of the website is visually impressive and content is segregated into different sections like movies, TV shows, games, music, software etc. In addition to that, Torrent 9 also features random movie on its homepage that may impress some users. Yes, you read it right. Katcr is a new KickAss site that is developed by a group of original KickassTorrent staff members. This new torrent website has a fresh and secure database, but the UI of the platform remains the same. These staff members didn’t have access to the original KAT code but they worked hard to replicate the original website. Y’all can find a majority of content on the KickAss Torrents. Furthermore, the website is designed such that users should feel right at home. Users are advised not to use any unknown kAT mirror or Kickass proxy as they may ask for credit card details or even can serve malware or adware. One of the most common questions associated with downloading Torrent content “Is Torrenting Legal?”. In principle, it is. But if you are downloading and redistributing copyrighted content then it’s an illegal activity. This comes under the category of pirated content. That said, if you are sharing now-copyrighted content then Torrenting is completely legal. So these were some of the best Kickass Torrents alternatives. Do share any other sites like KAT that you might know via the comment section.